SecureAuth IdP Version affected: 8.1 and above. The steps outlined will assist in converting an evaluation key in Windows Server 2012/2012 R2 to an active full retail key after purchased. The Windows evaluation key the SecureAuth appliance ships with expires causing the server to restart. 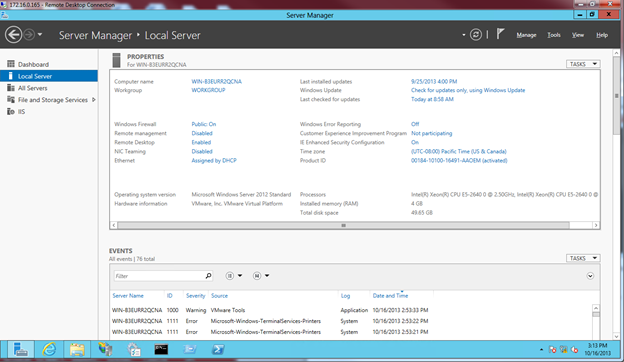 When you receive your purchased Microsoft Windows Server 2012 Appliance, there are a few steps you need to perform to activate it. 1. Make sure http/https ports 80 and 443 are open. 2. Have access to the Product Key Code sent to you by SecureAuth. 4. Right-click on the Convert_Eval_Product_2012StandardServer Windows Batch File and select Run as administrator. 5. 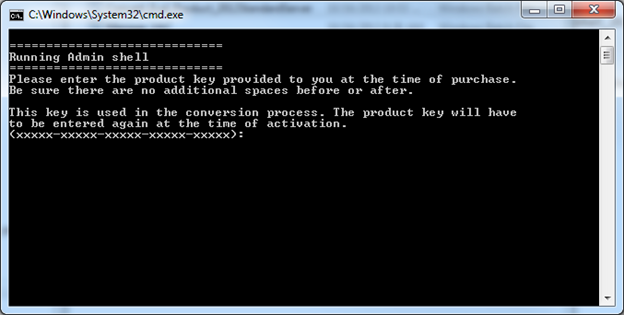 Copy and paste your Product Key Code into the command prompt and press ENTER. 6. Type Yes and press ENTER when asked to verify that this is your product key. 7. A 20-second countdown begins for restart. (Optional) Press any key to interrupt the countdown and continue. Once the computer restarts, completely shut down the computer for a cold boot. The cold boot initiates a clean-up of the server. This takes between 15-45 minutes. 8. Access the Server Manager once the computer has restarted.